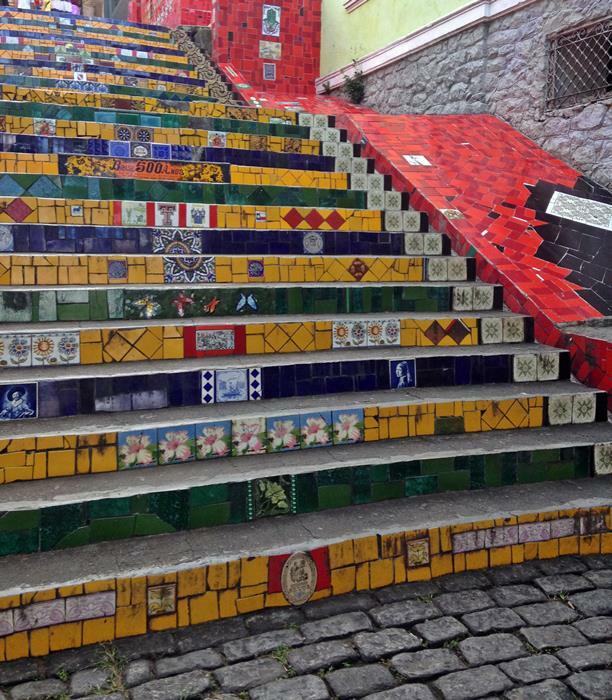 Located on an unassuming backstreet of Rio de Janeiro, a few blocks from Cinelandia metro station, tucked away behind bars, restaurants, and homes, lies the unexpected explosion of color and creativity known as the Selaron Stairs (or Escadaria Selaron in Portuguese). This fanciful creation sprung directly from the imagination of Jorge Selaron, as a “tribute to the Brazilian people” in the words of the artist. 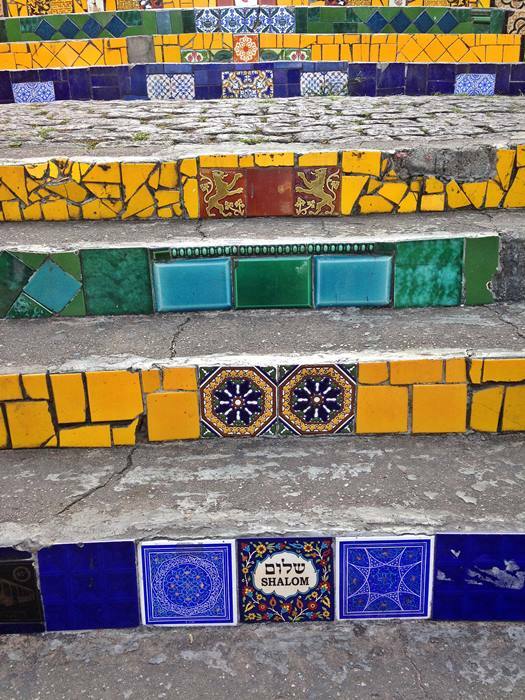 Once a dreary residential staircase, Selaron turned the steps into a bright, colorful, inspiring work of art. 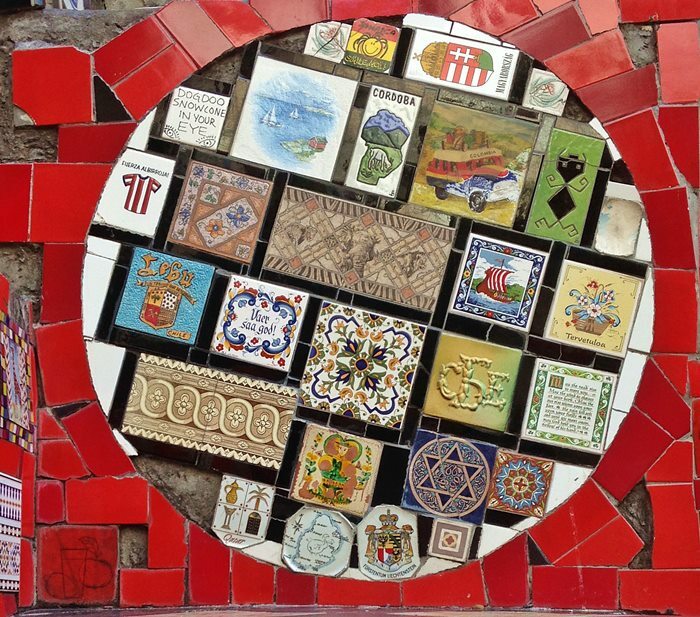 With the help of tiles sent from all over the world, the artist spent over 13 years creating the masterpiece for public enjoyment. 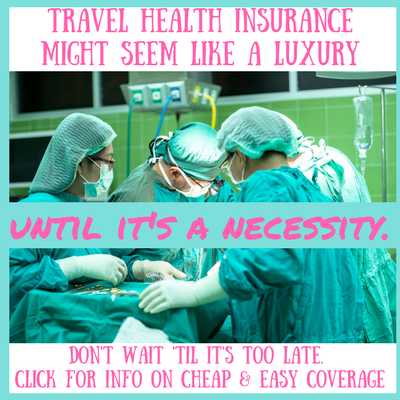 The artist funded his work through selling paintings, and worked tirelessly on his creation which he never deemed complete, saying “This crazy and unique dream will only end on the day of my death”. Which, sadly, it did on January 10, 2013. The artist Jorge Selaron was found dead on his famous steps, his body marked with burns. The murderer(s) were never found. While the artist is gone, his steps live on in worldwide recognition. 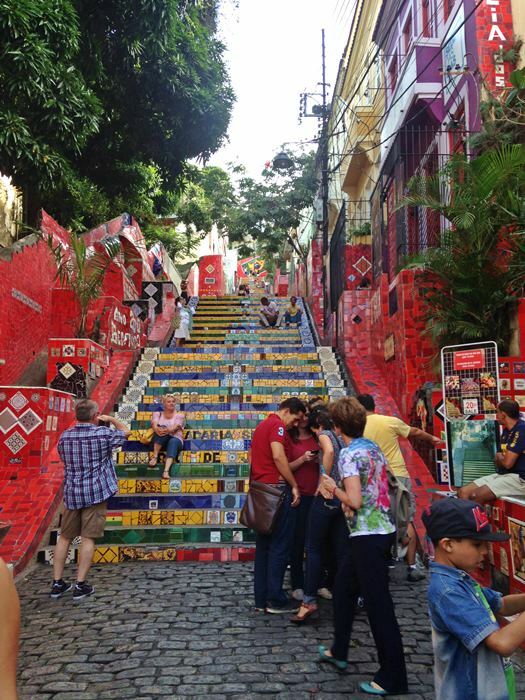 Featured on TV, in newspapers, and even in music videos (like by U2 and Snoop Dogg), the Selaron Stairs are on iconic part of Rio de Janeiro. They are a popular locations for kids and adults, tourists and locals to hang out, snack, and just sit on the steps to people-watch. 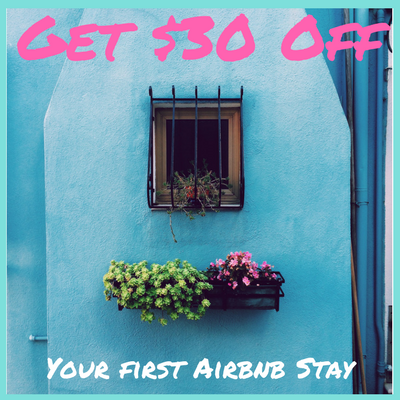 The houses surrounding the stairs have gotten in on the spirit of Selaron, painting their homes bright colors and many opening popular hostels. 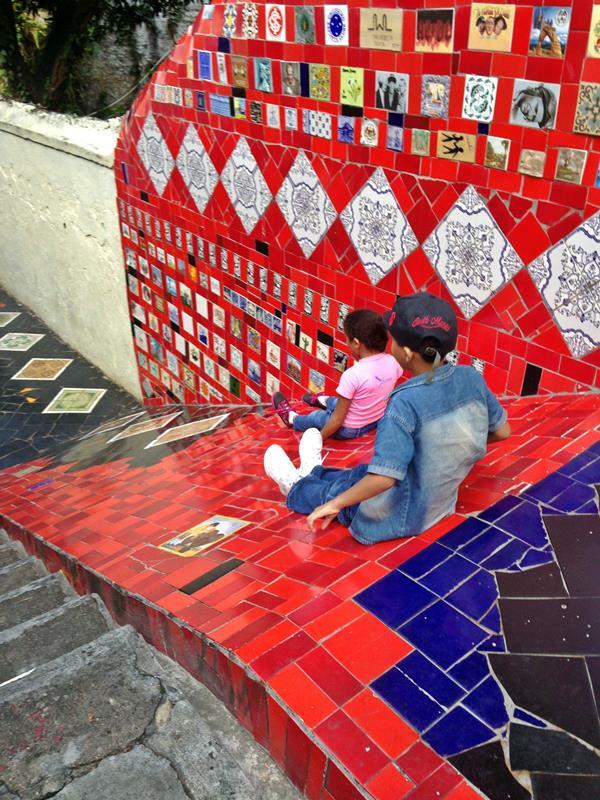 The stairs are especially popular with local kids, who sometimes use the smooth red sections as a slide! 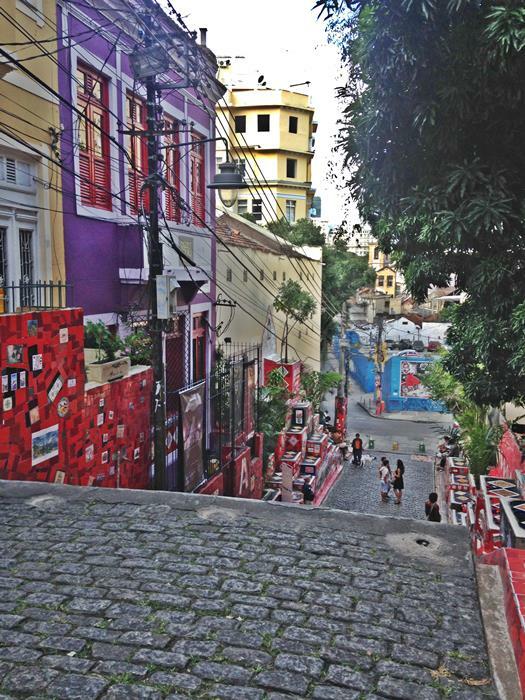 The stairs are located in Lapa, nearest to Cinelandia metro station. They are free to enter any time of day or night, but visiting during daylight is advisable. At night, people gather to smoke week and drink on the stairs in boisterous groups. Be aware of your surroundings, as the area surrounding the stairs (and the square by the metro) are not known to be the safest, and thefts happen regularly. 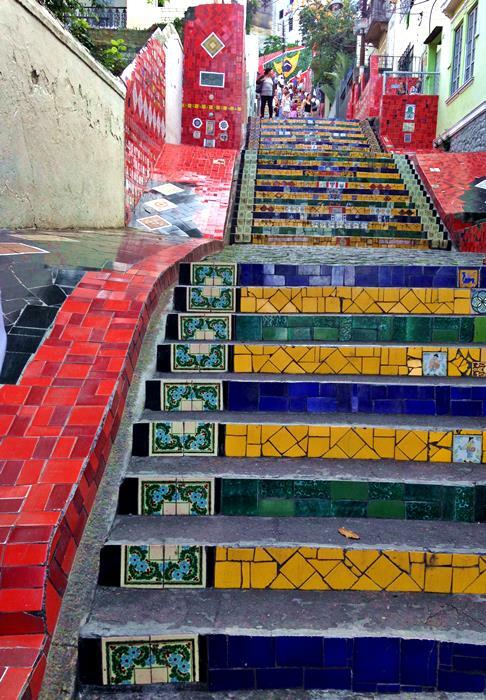 What a great and colorful set of stairs – so many interesting tiles! It’s fun that kids can slide down a section.